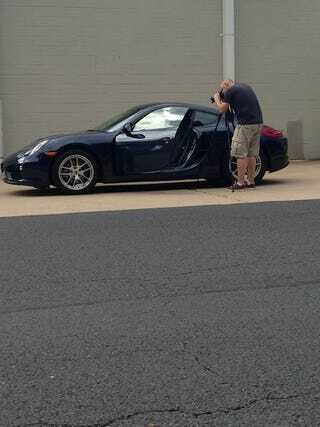 I spent Fathers Day driving a brand new Porsche Cayman and filming a review of it. I got to be the commentator, tried to channel my best Clarkson (probably more like Hammond). Consider this the teaser for the video, I am also going to do a write-up to accompany it. So what would you, Oppo reader, want to know about the middle child in Porsche's sportscar family? This is a proof of concept film for Right Foot Down which a colleague of mine owns and runs. We have a lot of ideas, but wanted to get our first video in the can before expanding to more expansive endeavours. I can say now that that quadcopter on the FP has me thinking! So let me know what you want to know about the base Cayman and I'll try and get a review posted this week.